10.9.2015 Starting to plot more often and pay attention. Red line is goal. Blue Line is actual weigh ins. Red Line is close to goal for 5 years. May change end date on red line to 5 years from now to get more accurate and realistic as it’s currently showing 2/9/2019, which would have been 5 years from 2/9/2014. 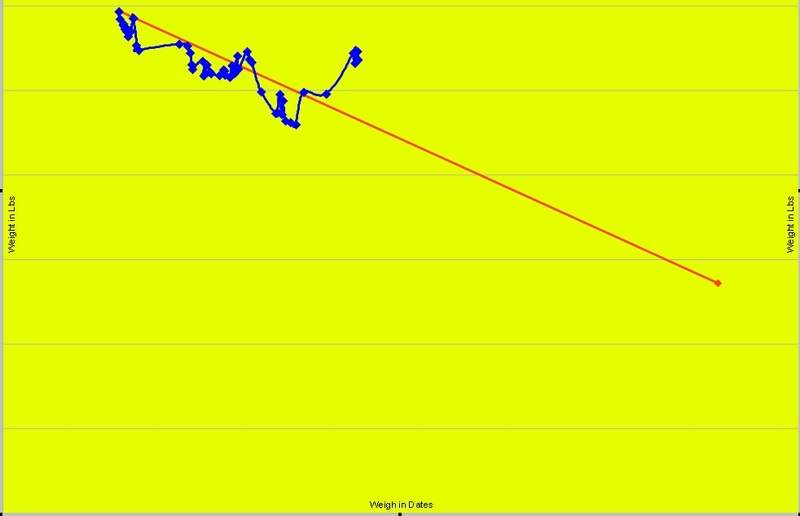 I can and will get below the red line, and get to goal target bmi. I now have the ability and will work towards the goal daily. It’s been hit and miss in the past. Refocus, and work at it daily today and going forward. Going to try my best to log this type of stuff daily.